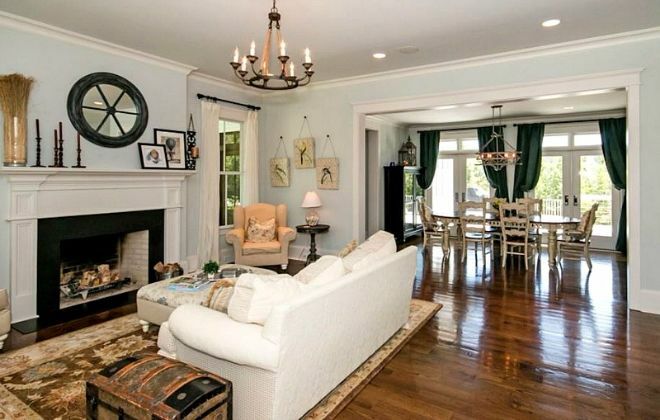 This North Carolina dream farmhouse was recently put on the market, and Julia from Hooked on Houses was quick to do some online sleuthing in order to get a sneak peek inside the gorgeous home. On the John Marshall Custom House website, she was able to check out the building's interior, which had recently been redesigned. The farmhouse's living room features a wide entrance into the dining room and large windows to let light pour into the space. 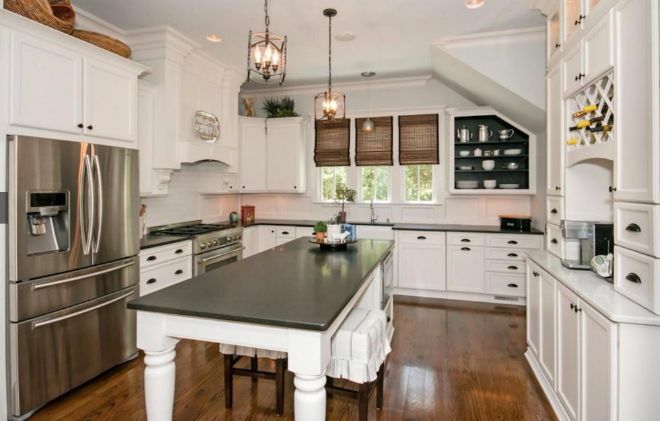 The kitchen features a wonderful island and a black/white color scheme. The white cabinets are offset by the lovely black countertops. 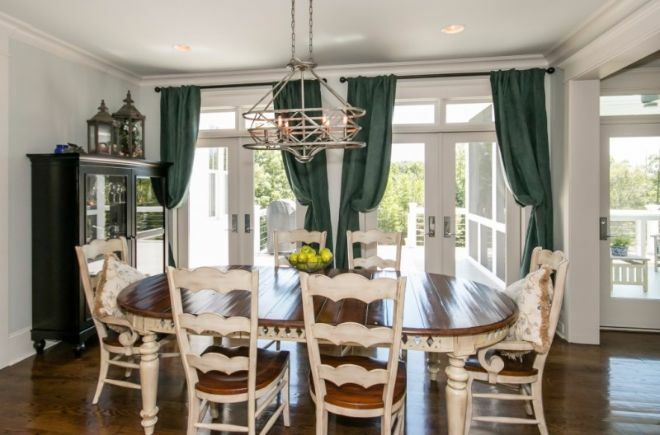 The dining room, visible from the living room, features a view of the nearby treetops. 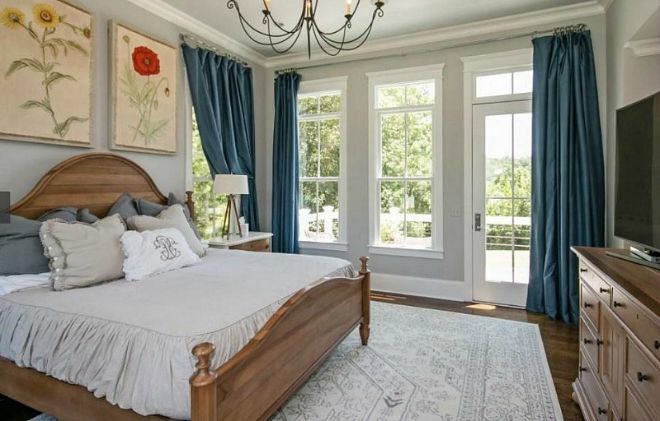 The master bedroom features its own private patio and floor-to-ceiling windows. 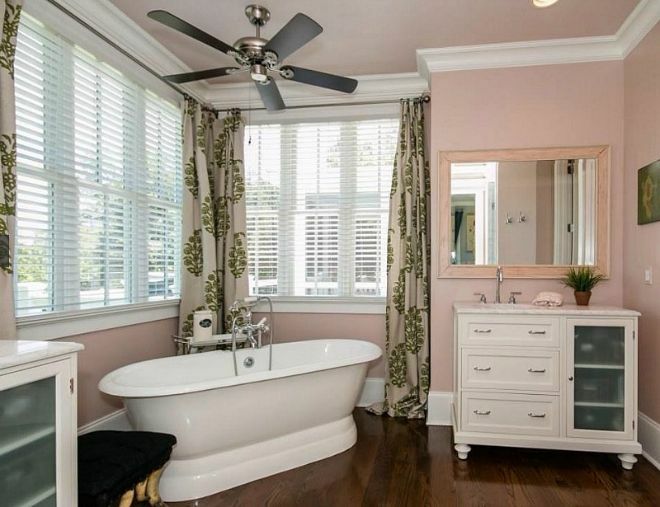 The bathroom is an absolute delight -- the freestanding tub offers the space a strong off-color visual centerpiece. 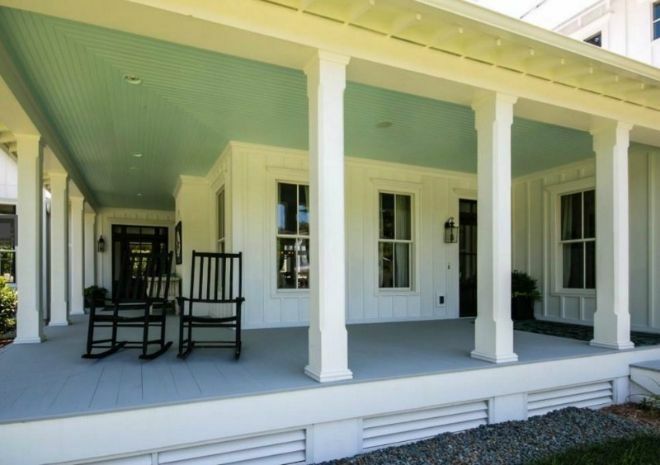 It wouldn't be a proper farmhouse without an amazing porch, and this North Carolina estate doesn't disappoint. 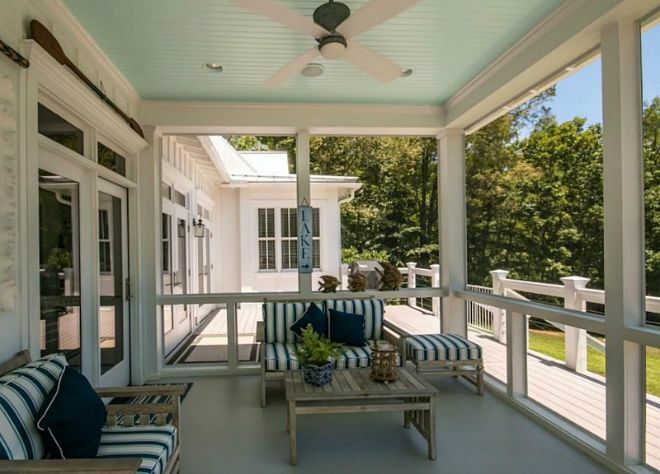 Strong pillars and a colorful roof give this relaxation spot plenty of visual interest. There's also a sleeping porch for days when bugs are too much of a nuisance. 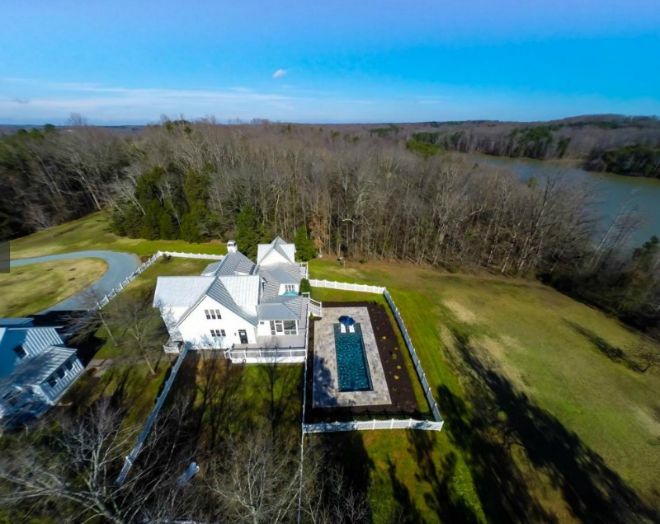 From the air, the house's wonderful saltwater pool is visible. It's also clear how close the house is to Lake Howell. 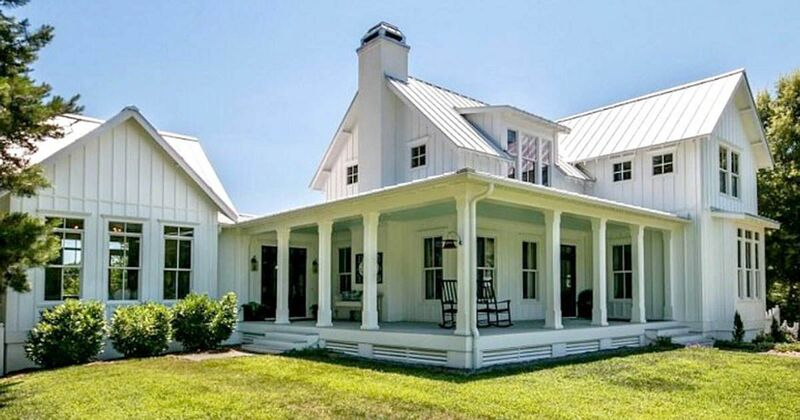 The dreamy North Carolina farmhouse is the perfect property! If you agree, make sure to share this page with your friends!